Utilising traditional techniques we are able to offer our extensive range of 'Drawn on Wood Core' sections of which our catalogue contains over 3000 profiles. 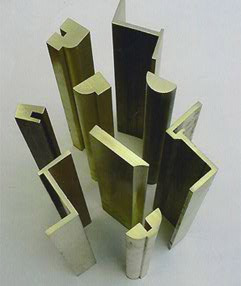 The technique involves drawing a thin gauge of architectural metal e.g. 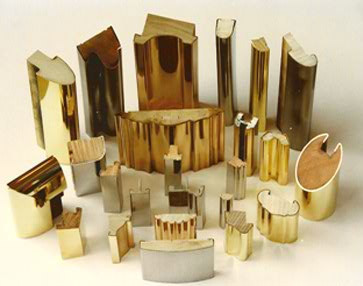 brass, gilding metal or stainless steel over a profiled hardwood core, which we can supply as drawn lengths for you to assemble, or we can assemble them into frames for doors, windows, mirrors etc.. for you. Smaller intricate sections can be planed from solid materials, milled or extruded where these modern techniques can offer more cost effective solutions.